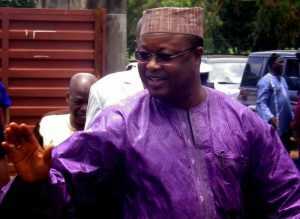 Sam Sumana returns Home: As Prodigal Son or Spanner in the Works? The much anticipated return of the erstwhile Vice president to the shores of Sierra Leone is finally here with us. Prior to his return, there has been a lot of tongue wagging and speculation about the how, when and what about the whole debacle. 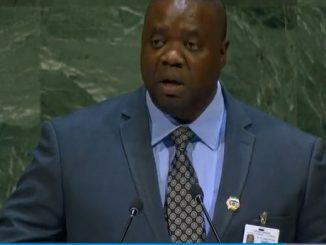 Many would recall that having been ELECTED as a running mate for the Presidential elections in 2012, he was duly appointed as the Vice President of the Republic of Sierra Leone. During his tenure as the 2nd gentleman of the state, many saw is position as a mere cosmetic exercise with no political clout. A lot of rumours, scandals and undesirable column inches racked up significant mileage about his political and business dealings in the local media as VP. One of the most talked about scandal was his involvement in the “Timbergate scandal”, when he was alleged to have arranged the sale and export of timber; contrary to government restrictions at the time. The breakdown of relationship between the 1st and 2nd gentlemen of the nation had been an open secret for some time. The situation came to a head in March 2015, when the VP was sacked from his position. According to reports at the time, President Ernest Bai Koroma had dismissed him because he had “abandoned” his duties. 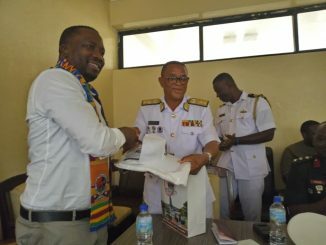 The governing All People’s Congress had expelled Mr Sam-Sumana from the party, after accusing him of fuelling violence, and trying to form a breakaway party in his home district of Kono. He denied the allegations .The office of the President said at the time, that Vice-President Samuel Sam-Sumana “has been sacked for seeking political asylum in a foreign embassy”. 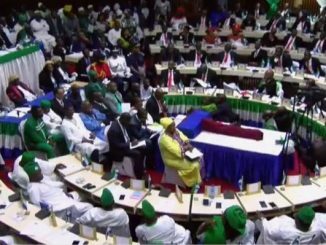 While many believe that the VP can be removed only through a parliamentary impeachment, Mr Koroma reportedly said he had the “constitutional authority” to dismiss him. It was no exaggeration to say that this debacle lead to one of the biggest constitutional crisis that the country had seen in recent years. Deciphering such constitutional gymnastics is beyond my pay grade, so I will humbly leave that with the constitutional wordsmiths to deal with that. 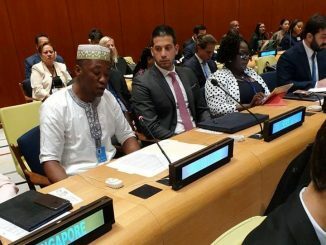 While many took sides and pitched their political tents on either side, Sam Sumana made a quick getaway to one of our ECOWAS cousins, where he lodged a case against the government. At present, Sam Sumana is requesting for $250 million dollars in recompense for his dismissal. Sam Sumana returned home this week and according to him, TO REGISTER AND CONTEST THE PRESIDENTIAL ELECTIONS. Wow. In the meantime, there are a lot of people who are wondering whether he has returned as a prodigal son, or as a cat among the pigeons. Reports have it that upon arrival, the former VP was asked to surrender his diplomatic passport; which effectively decapitates him from any of the privileges that go with the office. It is this scenario that seems to occupy the minds of Sierra Leoneans as we celebrate the death and ascension of our lord Jesus Christ. Any coincidence here? Is Sam Sumana ready to rise again from the political ashes? You bet. But here is the problem. It is no secret that as the APC grapples with its selection or election process of the party’s presidential candidate, you could bet your last dollar that this was the last thing the party could have wished for. While the presidential aspirants have been jostling for positions in the limelight, there is no doubt that a lot of acrimony would be festering in the political corridors of the APC. But as we know too well, no matter how disunited the APC may look at present, it always comes out with a semblance of a united party in the end. That has always been the redeemable feature of the APC party. Unlike the APC, SLPP has been good with washing their laundry in public. While the party opposite has always succeeded in keeping everyone in line, irrespective of their personal political ambitions, the SLPP has been seen as quick to put personal ambitions above the interest of the party. This is not a criticism and I am sure that my friends will not thank me for this; but the SLPP has always demonstrated its penchant to attract chaos. It is no wonder that the SLPP regularly attracts headlines like “SLPP in court”…, “SLPP in Peace Meeting”…, “SLPP chairman this…, “SLPP frontrunner that…”. There are a lot of political connoisseurs who feel frustrated by these shenanigans, and see this unending disunity as the main Achilles heel of the party. But if you are wondering about the state of play at the SLPP headquarters, spare a thought for what the APC will face with the return of the SAM. There seems to be a lot of options for Sam at present, but running under the APC is not one of them. He was expelled by the party, remember? Will he form a breakaway party; as initially accused by his party? Will he cross the Rubicon and join the SLPP? And just out of my wild imagination, if he joins the SLPP, will he be a welcome guest as their presidential candidate? NO. Will he form an Alliance Party of the Disgruntled? There is no doubt that the eventual declaration of the respective Presidential candidates will leave a lot of sore heads among our main political parties. There is going to be a lot of political horse trading, carpet crossing and disappointments after the parties have nominated, selected or elected their official flag bearers, by March 2018. Meanwhile, there are some people who believe that the APC party, irrespective of its seeming internal political combustions is a well-oiled machine. And that it would require a formidable COALITION (Gambian Style) to wrest power from its grip. If that is the situation, are we on the brink of witnessing the birth of a 3rd Political Party; as some of us had toyed with the idea some time ago? If Sam cannot return to the APC, and if he is not welcome to SLPP, what are his options? Will it be a coalition of the disaffected? Your guess is as good as mine. One thing is sure though; he is bound to bring along some supporters from both sides of the aisle with him. How will that factor in the current political climate? He may or may not have the required clout to break the backs of our main parties. But will he do enough to prevent an outright winner in the end? Will that lead to election run offs? Hey, forgive me for my wild imaginations; it’s a new moon. Sam Sumana has returned home. But the APC would be well advised to LEAVE HIM ALONE or risk incurring the wrath of a percentage of the disaffected populace. Let’s face it, what did Sam do for the people of Kono during his tenure of office? When he lost his VP position, his supporters presented him as victim. This was especially so in his home district Kono, where many likened him to their son of the soil being victimized. The sympathy he received was primarily fuelled by nothing other than being a son of the soil and what many saw as the dictatorial tendencies of a political party on steroids. While the President had been musing about his next move following his dismissal, Diana Konomanyi was rumoured as the prospective VP. It was not surprising that she was tagged as the Kono sister who betrayed her Kono brother, by the Sam brigade. I hasten to add that these accusations had no foundation of truth in the matter. The voter registration is reportedly on course. Bravo. For those who have not registered, please do so. Registering to vote should not be seen as a partisan activity. Remember that to make democracy work, we must be a nation of participants, not simply observers. One who does not vote has no right to complain. But as we exercise our democratic duties, we need to be wary of those who will promise to build a bridge even where there is no river, or those who will have you believe that foxes have a sincere interest in prolonging the lives of the poultry. So Sam is back. Prodigal son or Portoh Portoh don kaytch fire?